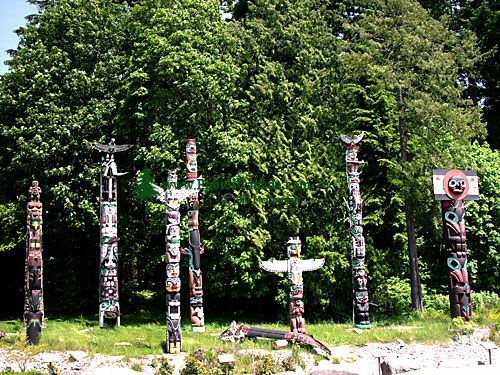 Description : Situated just off the seawall beside the Brockton Oval cricket pitch are eight totem poles. Each has a story that breathes life into it. Each is connected to the land on which it stands in more than just a physical sense. Long before Europeans visited the west coast, diverse Coast Salish groups such as the Tsawwassen, Coquitlam, Katzie, and Stó:lo lived, and still live, in the Greater Vancouver region.